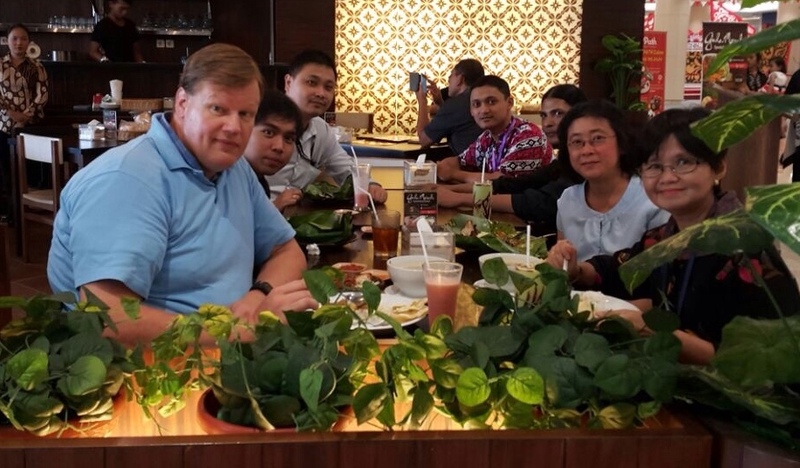 It is a tremendous pleasure for the Department of Food Technology, Binus University to host Prof Koen Venema of Maastricht University (QS ranking #200) as a visiting professor from August 11 to August 27, 2017. Prof Koen Venema is a distinguished scientist in nutrition and microbiology, and also Editor in Chief for Beneficial Microbes, a Scopus-indexed international journal having 2016 Impact Factor of 3.301. During his visit, he will give a talk at the HACCP training to be held at Binus Alam Sutera Main Campus, 14-15 August 2017. Upon the collaboration between Binus University and several Indonesian universities under the umbrella of NUNI (Nationwide University Network in Indonesia), Prof Koen will visit Andalas University at Padang on August 17-20 to deliver a guest lecture in microbiology and health. He also will assist Food Technology lecturers on a training of academic writing (for internal purpose only), and prepare INSINAS research grant proposal. His visit will be a truly the execution of tridharma (3 pillars of Indonesian higher education: (a) academic lecture, (b) research, (c) community development), and an additional dharma (extra for Binus lecturers) which is (d) self development. We are highly honored to host him, and we hope many fruitful collaborations between Binus University and Maastricht University.